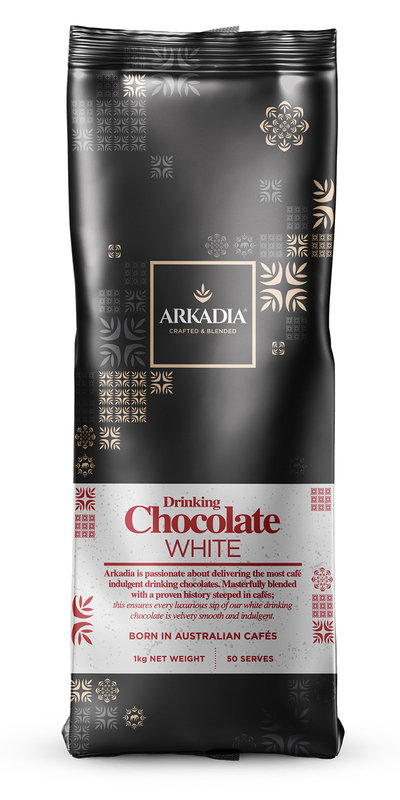 Arkadia Premium White Drinking Chocolate is a rich, creamy gourmet drinking experience capturing the taste of the finest white chocolate. Milky white chocolate is loved by all. Enjoy as either a hot or cold beverage perfect for anytime of the day. You choose how to make it. Hot White Chocolate or Iced White Chocolate or White Chocolate Mocha. 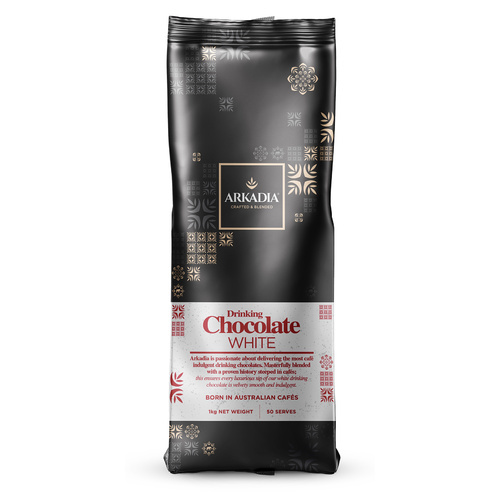 Arkadia White Chocolate is made in Melbourne by an Australian family owned company and is a brand only found in cafes and food specialty..